The latest feature-length Pokemon film, known as Pokemon the Movie: The Power of Us, receives its cinematic release within the UK and North America this weekend, specifically on the 24th and 25th November 2018, and to celebrate its wide-spread cinematic release in both the UK and America The Pokemon Company have released an English Dubbed Clip of the film. In this particular clip we receive a ‘closer look’ at the individual English Dub voices of the notable characters within this particular film and the roles they may have within it. Naturally this clip no spoilers but its great to get a sneak peek at what to expect from the English Dub voice cast of these new characters. 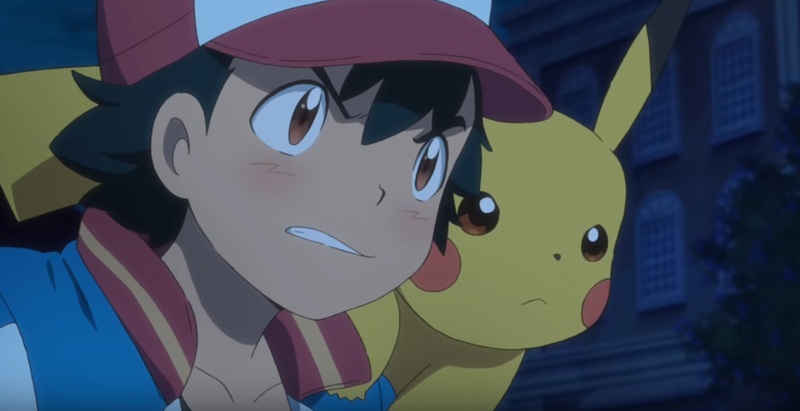 Synopsis: Ash and Pikachu journey to a seaside city filled with a delightful cast of characters, including a young athlete, a compulsive liar, a shy researcher, a bitter old woman, and a little girl with a big secret. They’re sure to encounter unique challenges and plenty of thrilling Pokémon battles while learning the value of teamwork and putting aside their differences. Pokemon the Movie: The Power of Us will be available in cinemas on the 24th November and 25th Novemebr 2018 within the UK as well as 24th – 28th Novemebr 2018 within North America.